This still appears to be an issue, but if it helps I think I may have narrowed down the problem. It seems when I import the full collection (clones and all) it populates almost every game in the playlists except a small handful (5 or 6 games across all playlists) where there are slight naming differences. For example in the Daphne Playlist I see missing "Dragons Lair" (no apostrophe) and in my Arcade collection I find Dragon's Lair (with an apostrophe). If when importing I choose to skip clones and prioritize a region (any region) I end up with tons of missing games in the playlists. I check my collection and find the games, but apparently not the specific clone that the playlist is looking for. So it seems the playlists look for a specific version of the game, and if you filter that clone out when importing it wont match the playlist with whatever version you keep. Im not having that problem It did just occur to me though that the same day I upgraded bigbox I also updated my nvidia drivers. Could be something that popped up with the new drivers and have absolutely nothing to do with changes in bigbox. Yep, I was about to say the same! I booted in safe mode and things were working good so I booted back into normal mode and as soon as I killed geforce experience everything was working great. Good to know that I can just disable the overlay to achieve the same. I have a corsair mouse and keyboard but am not using the CUE software.. I installed a fresh install in a new location and bigbox still doesn't work for me. It just gets stuck with the bigbox logo on the screen. Launchbox works fine on both installs. Im not experiencing the long launchbox load time someone else mentioned either. Yes, I was on 7.16 before upgrading. I had just used it day before I upgraded and everything was working fine then. 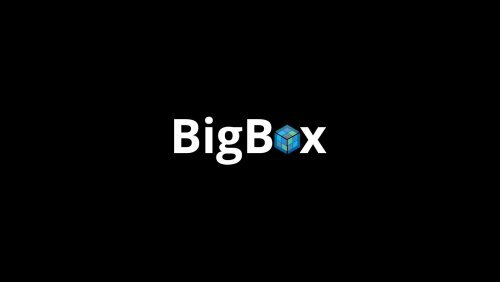 Ive been using bigbox for a couple years without issues, but yesterday I got the 8.0 update and bigbox no longer starts. It plays my startup video and then just hangs on an infinite black screen. Task manager says not responding and I have to force kill the process. Launchbox seems to work fine, just not bigbox mode. I thought there might be a log file somewhere that could help but the Logs folder in my launchbox directory is empty.